Valve diagnostics and predictive maintenance can help you maximise not only the service life of your assets, but also their efficiency and effectiveness during that service. 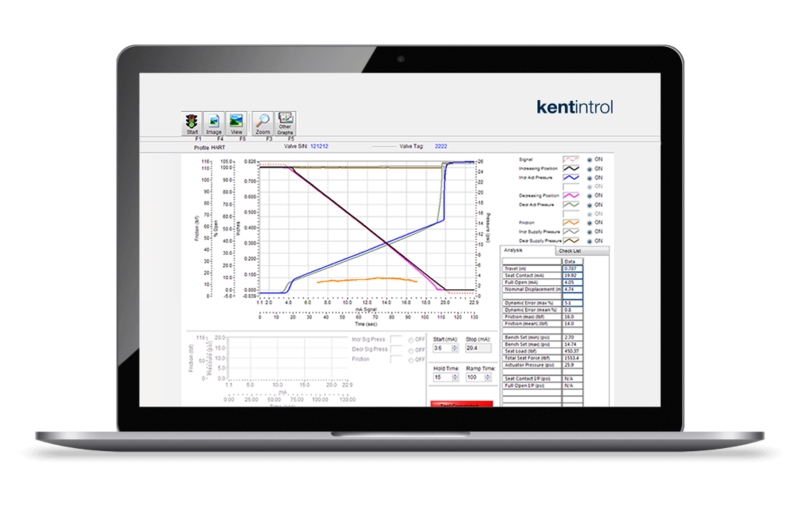 Valve diagnostics can give you a clear, real-time picture of the performance of a valve. This can help you plan and schedule your maintenance more effectively, troubleshoot any problems or build your understanding of a new valve’s performance. Opinions can vary about the performance of a valve, but using actual performance data while the equipment is in service can quickly give you the facts you need. There’s been a shift in the way customers use diagnostics in the oil and gas industry. 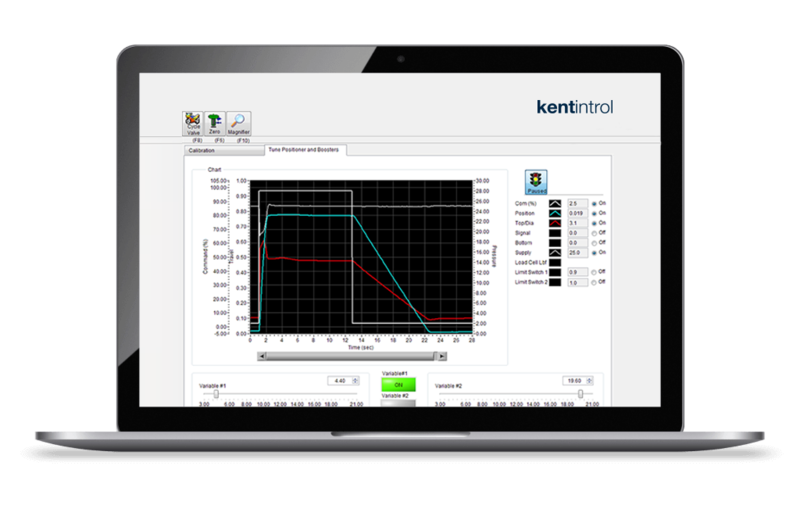 Customers are now investing heavily in data analytics that allow them to monitor valve performance online at any time. 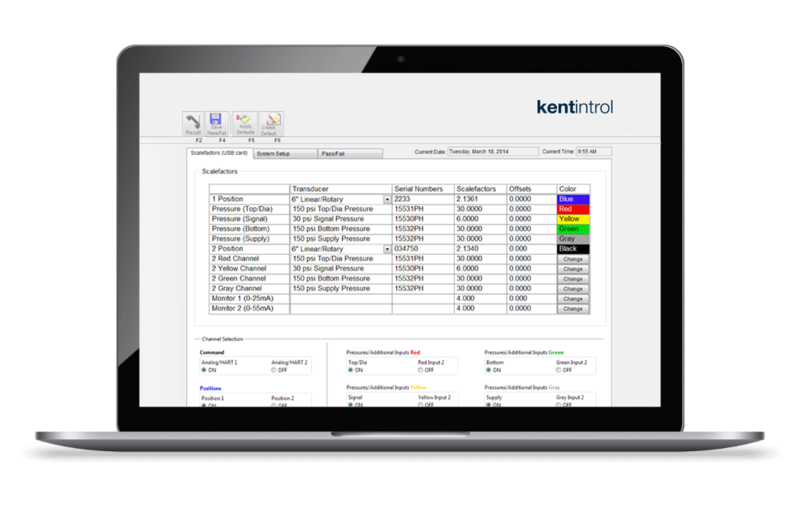 For the issues that can’t be detected by built-in systems, Kent Introl can step in and take advanced data analytics to the next level. Valve diagnostics can be a contentious subject. With our data acquisition equipment, we are able to regularly and precisely measure the performance of a valve that may be degrading over time. By gauging results at intervals and using the same parameters, we can analyse trends and make recommendations based on this, including beneficial systems and future maintenance. Kent Introl work on-site with clients to analyse diagnostics and ascertain the valves that need attention. In some cases, valves can remain in line and only require minor work. This instantly cuts the costs involved in valve servicing and maintenance. With valve diagnostics technology, we can offer clients expert insight and recommendations as well as making significant savings. Our valve diagnostics equipment completes our vast suite of services. When it comes to data analytics, we are able to apply our expertise to a valve that we’re already very familiar with. We retain the details of all the equipment that we design, build and supply. This sets us apart from competitors who may not fully understand a design that we’ve implemented. HOW CAN VALVE DIAGNOSTICS BENEFIT YOUR BUSINESS? Industry research over the years has shown that although a high proportion of valves need some sort of rectification, they can often be fixed without removing them from service. 23% of valves had insufficient seat load causing poor shut-off. Downtime can be expensive in many ways, but is inevitable for most equipment. By using this predictive, data-driven approach you can plan maintenance work for when it’s really needed. Sometimes a valve will perform better than expected, and a well-informed approach to maintenance could help prevent taking equipment out of service when it is still working efficiently. 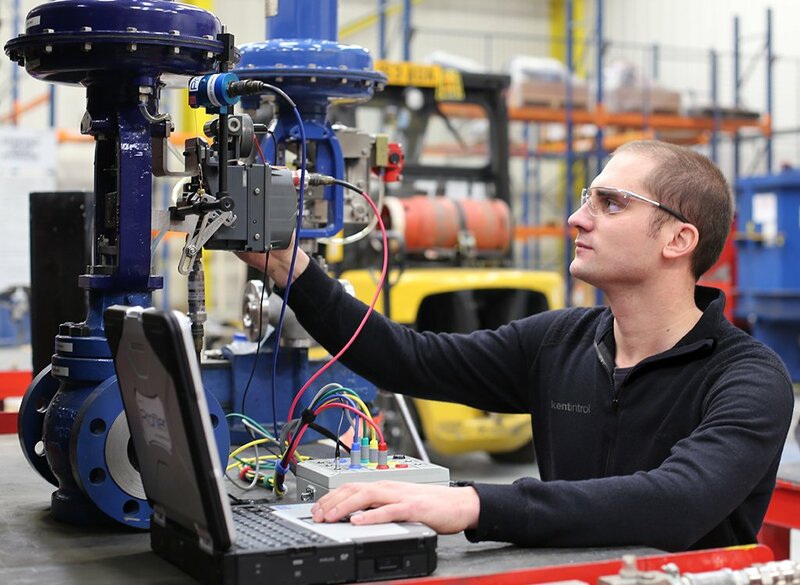 Our field engineers will use our proprietary valve diagnostics equipment to document and inspect key performance data from a process control valve. This can be done ‘on bench’, or while the valve remains in service. They will explain and interpret this data for you, and give recommendations as to the maintenance strategy for the equipment. By tracking the data over a period of time, they can proactively monitor for degradation in performance of the valves and equipment. It may also highlight more minor maintenance work that can be carried out on-site without needing to take the equipment out of service. Actuator bench set and spring load. Contact us to find out more or to discuss how Valve Diagnostics and predictive maintenance can form part of your strategies for maintenance and asset life management.